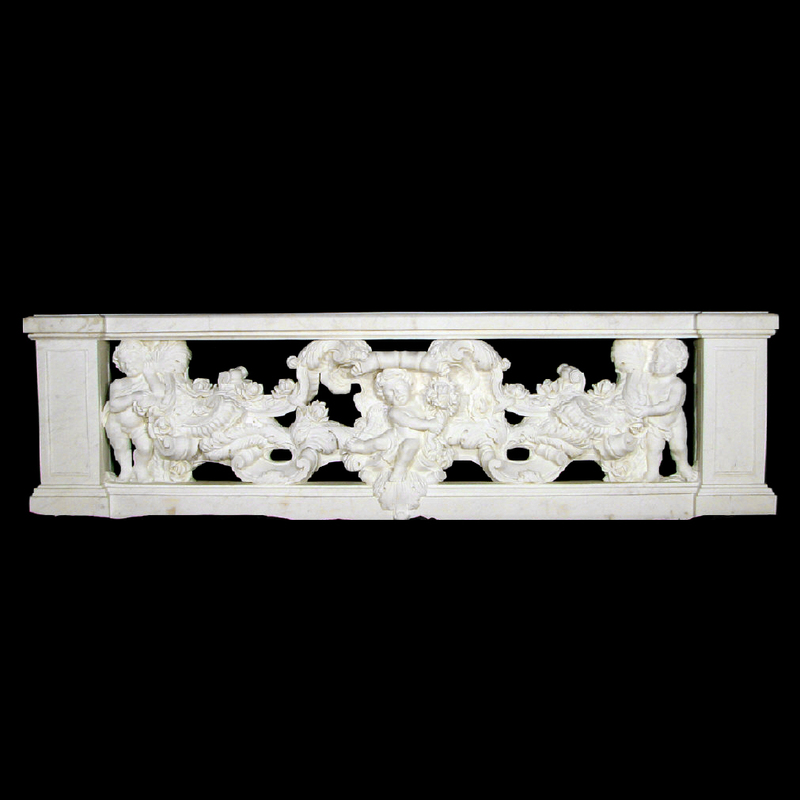 Marble Cupids & Rosevine Balustrade | Metropolitan Galleries Inc.
Marble Cupids & Rosevine Balustrade by Metropolitan Galleries was carved by skilled sculptors, from quality marble stone. Marble sculpture is the art of creating three-dimensional forms from marble. Metropolitan Galleries offers a diverse and custom selection of carved marble fire place mantles, beautiful hand carved marble sculpture garden art items such as marble tier fountains, marble statuary, marble animal sculpture among an assortment of various genres and variable stone color selection, as well as custom sculpture development capabilities.